According to the Visit Denmark website, hygge (pronounced hoo-gah) as cosiness and spending quality time with friends and family. 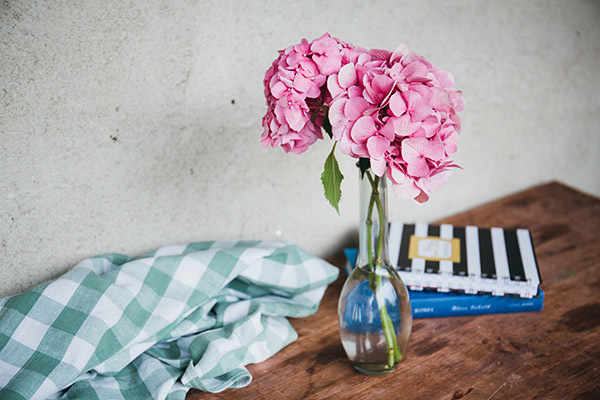 There are many activities that fall under this lifestyle such as movie nights with friends, cooking with your family, reading by candlelight, going to a cosy cafe and snuggling under a blanket with hot chocolate and the people you love. I'm all about that hygge life and all of the cosiness it involves so I wanted to create a hyge inspired christmas gift guide full of gift ideas for friends and family, or for yourself. 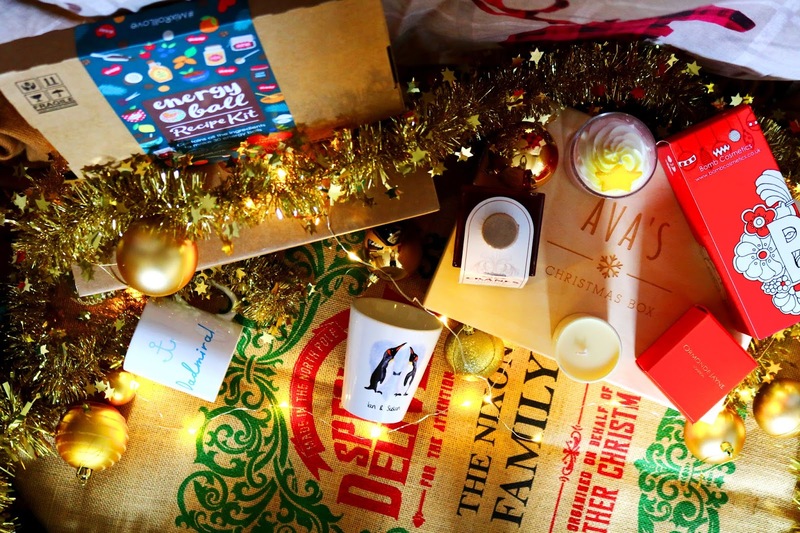 Giving a hygge inspired gift or hygge gift hamper would make a perfect gift for the winter period because autumn and winter are the cosiest seasons of them all! Let's start with the cutest gift to today's huge hygge gift guide! I've been lucky enough to receive an adorable mug from Helen Russel Creations previously and I'm still using and loving it. The adorable earmuff penguin mug is so cute and I love the simple but heart-warming design. It came beautifully packaged and well protected which is needed because all of the mugs are hand decorated and composed of fine bone china. 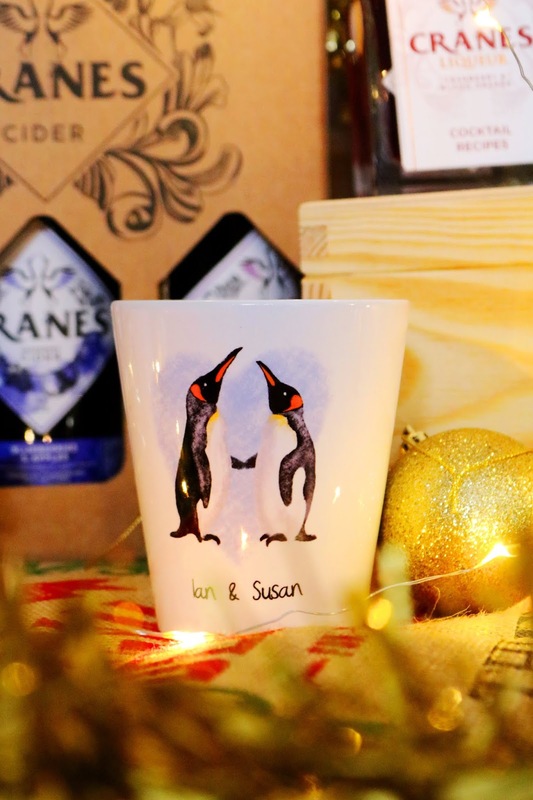 As well as the lovely gift box, the mug also comes with the most adorable message story postcard about the journey of your penguin mug (it's the perfect mug for christmas!). Next up, one of the most iconic christmas drinks, to me, has to be Baileys! 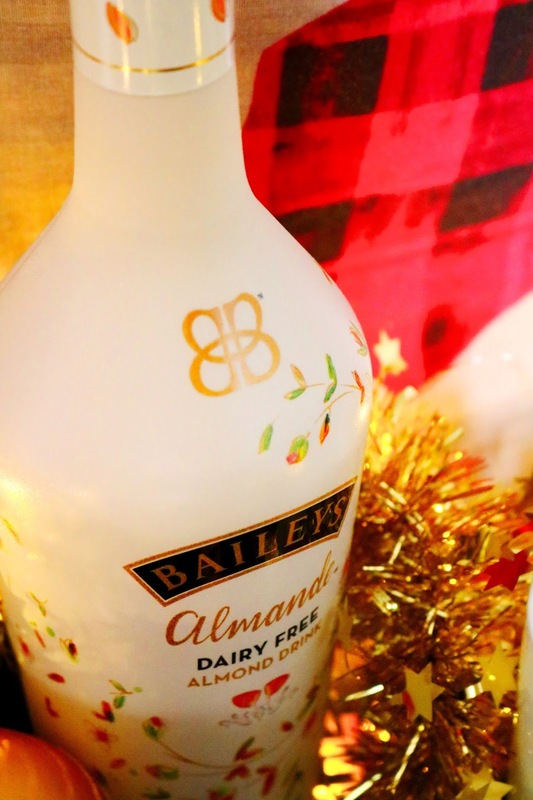 I love the original Baileys but they now have a range of varieties to choose from including their new dairy free almond drink which is naturally suitable for vegetarians and vegans. I love that so many brands are now making dairy free versions of their original products or adding new vegan options! 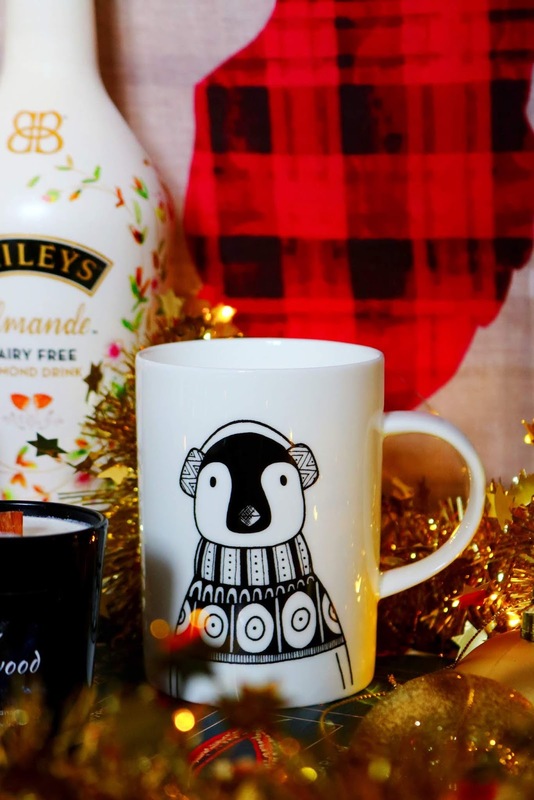 A vegan friendly Baileys would be perfect for friends and family this christmas and it tastes delicious - sometimes almond flavoured drinks and food can be very artificial tasting and overly sweet but this isn't, thankfully! I'll have a separate post coming over the next couple of weeks with a few recipe and cocktail ideas featuring Baileys Almande and Cranes, so stay tuned. Check out their instagram (@baileysofficial) to find out more about #BaileysAlmande. One of the main physical elements of hygge are candles, along with good food and drinks. I love candles, I always have a couple of the go and my favourite style of candle have to be the ones featuring crackling wicks as these amazing offerings from LeeshCraft London do. The crackling wick makes the candle ideal for the autumn and winter seasons and it makes any room seem cosier and more atmospheric, in a very good way! I was lucky enough to receive two (they arrived beautifully packaged and protected), the first of which was the Sandalwood scent. To me the Sandalwood scent is very creamy, rich and musky, it smells heavenly! Both of the scents I received are from the Rituals collection and they'd be perfect autumn, winter or cosy Christmas nights. The second candle is the 'night bloom' scent which has the same gorgeous, celestial packaging and crackling wick as the Sandalwood travel sized candle. Unlike the Sandalwood scent, this one is very sweet, feminine and floral. Both of the candles remind me of others I've tried but there is definitely something very unique about them that I can't put my finger on! I think all of the LeeshCraft London candles would make great christmas gifts and it's always nice to support a smaller business while giving a special and unique gift to friends or family! The rituals collection is gorgeous as a whole and their new gothic collection looks even more divine! 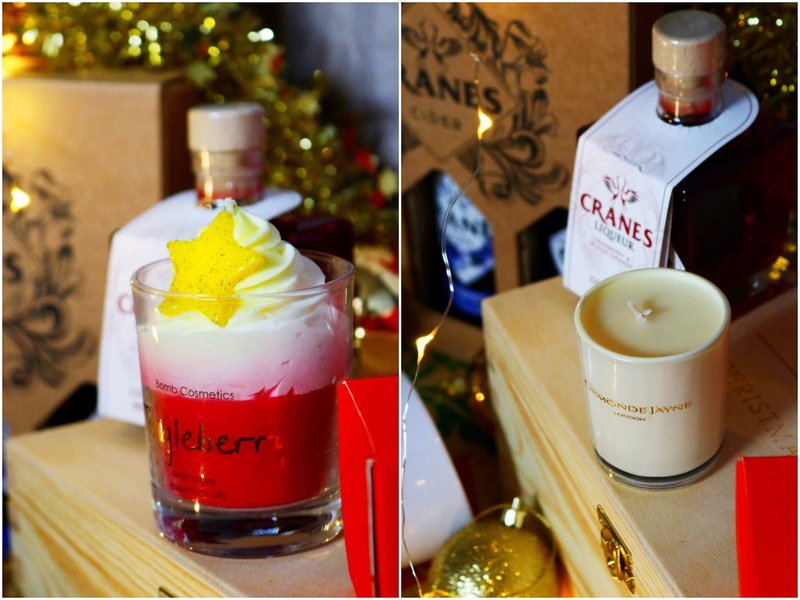 Enjoying drinks, whether they are alcoholic or non-alcoholic, with friends is one of the perks of the christmas season and this gorgeously designed set from Cranes would be the ideal gift. The set comes three bottles of their famous cider in the flavours: raspberries and pomegranates, blueberries and apples and finally, cranberries and limes. The first flavour, raspberries and pomegranate is definitely my favourite of the three, closely followed by the delicious cranberries and limes flavour. I love the unique flavour combinations! The set also comes in a gift box with a branded glass too which makes for a complete and more luxurious looking gift set. I think this set has something for everyone and it could be shared out with friends for a Christmas catch up. Additionally, for those watching their calorie intake over the festive period, which will definitely include myself, Cranes cider is made using 30% fewer calories compared to other brands on the market. 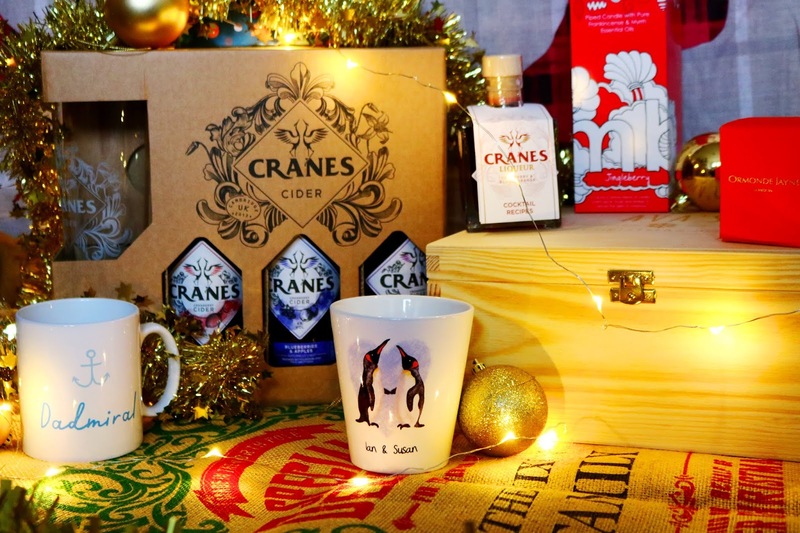 If you're looking for a unique and beautifully presented booze filled gift set that would be ideal for so many gift recipients, from dads and grandads to friends, colleagues and more, look no further than Cranes. 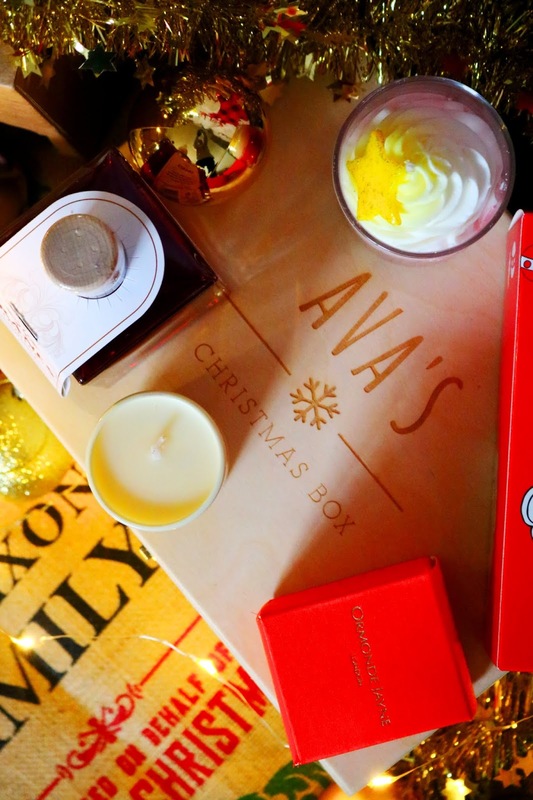 Speaking of beautifully presented gifts, this Christmas Eve box from Dust and Things would make a lovely gift for all ages but especially the little ones in your life. Dust and Things is such an incredibly lovely brand with such a wide range of gorgeous gifts from christmas, personalised and birthday gifts to wedding, teacher and anniversary gifts to choose from so you're bound to find something lovely! The Christmas Eve box can be personalised, not only with the name of your gift recipient but also a cute symbol (I chose a snowflake!) and a personalised message on the bottom of the box too. Additionally, you can change the size of the box and you can add a FREE personalised greetings card as well. I'm extremely happy with my box from Dust and Things as it's so well made, it looks very sustantial and it is personalised for my gift recipient. It is a perfect size to double up as a present and storage for other gifts - almost like a self contained hamper. 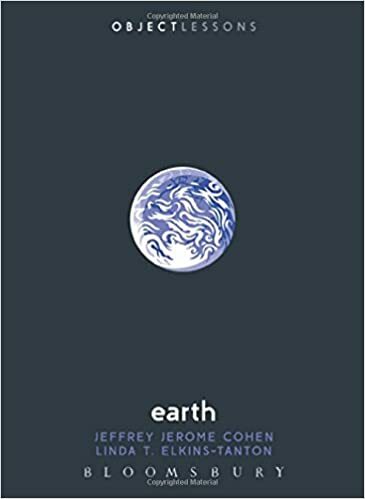 I have the Box 1 size which is ideal for me and for most, I think and I cannot recommend it enough, along with all of their other wonderful gifts. Use the link above when purchasing as it will give you 10% off your box or use the code: OFBEAUTY&XMAS to get 10% off the Christmas Eve boxes on Dust and Things. Another utterly wonderful and unique personalised gift is this adorable penguin plant pot from So Close Studio which has to be the cutest plant pot I have ever seen! I was very kindly sent some gorgeous gift items from So Close Studio and everything came so nicely packaged and presented. Everything is printed in their studio in the lovely area of Devon. I think most of us have a favourite animal and for my mum, that animal is the penguin. I'm personally not a huge fan (they're birds that can't fly!) but I know that she'll absolutely adore this plant pot as not only does she like penguins but she also loves gardening so it's a win, win. I think the design and personalisation that can be added is so beautiful and I know that my mum will be very happy with it. Check out So Close Studio for more interesting and lovely gift ideas for all ages and occasions. They offer free UK delivery, so what are you waiting for! 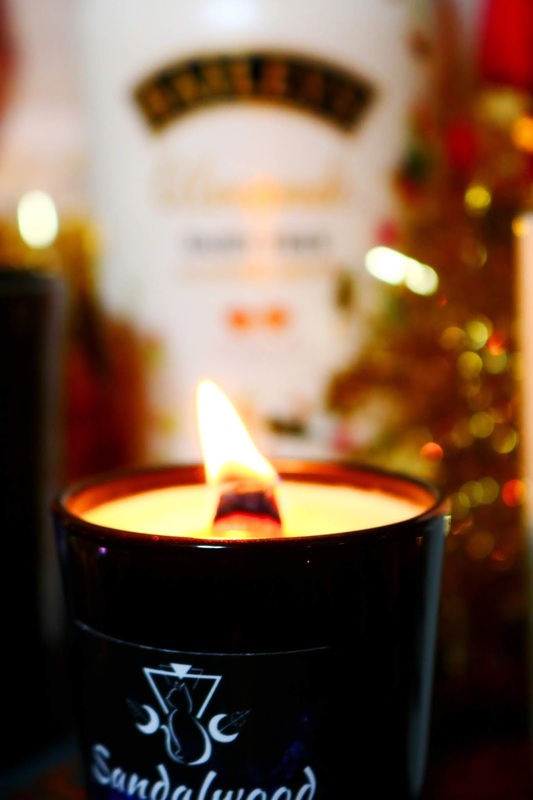 There can't be a mention of hygge without the obligatory candles and I have a couple of gorgeous offerings to talk about from Bomb Cosmetics and Ormonde Jayne, both of which would make wonderful wintery candles. 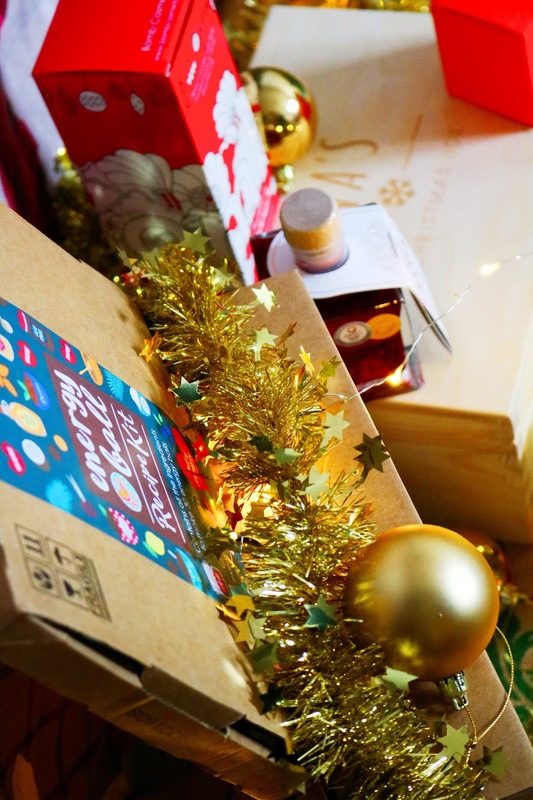 As you may know, I'm a Bomb Cosmetics ambassador (of sorts) so I'm very lucky to receive boxes of their goodies to review and I recently received an amazing box of christmas products - you'll have seen the unboxing if you follow me on Instagram (@ofbeautyand). I've already reviewed the Bomb Cosmetics advent calendar I received in my big beauty gift guide which you can check out. However, while Bomb Cosmetics is well known for their adorable bath blasters and gift sets, they also have a range of heavenly candles. One of their Christmas candles is Jingleberry which is the most adorable candle name ever. It is a handcrafted candle made using essential oils including frankincense and myrrh so naturally it smells musky, christmassy and perfect for the colder months. I'm not sure you can purchase this mini candle from Ormonde Jayne but the full sized version is available from £65 which I'll admit is expensive for a candle but christmas is the time to treat friends (and to treat yo self!) so why not. I love the bright orange packaging of the Ormonde Jayne products I've tried! Everything about this brand feels luxe and expensive, from the packaging to the scents. Sampaquita is an unusual scent, whether it's in fragrance form or candle form, it's very musky, floral and ideal for winter. My description definitely doesn't do this candle or scent justice as it is one of the most unique fragrances I've encountered, particularly in candle form. If you are looking for a unique and luxe candle for yourself or someone special this christmas then you should visit Ormonde Jayne. Ormonde Jayne products can be bought online or at Selfridges Trafford Centre. If you have read my previous early christmas gift guides this month then you'll have seen this gorgeous gift idea from the Handmade Christmas Co already as it makes the perfect christmas photograph background (#BloggerProblems)...I have wanted a cute hessian style personalised christmas gift sack for so long and now I have the cutest one! I was very kindly sent 'The Robertson' design which has an ornate and elaborate almost victorian inspired design that I utterly adore. 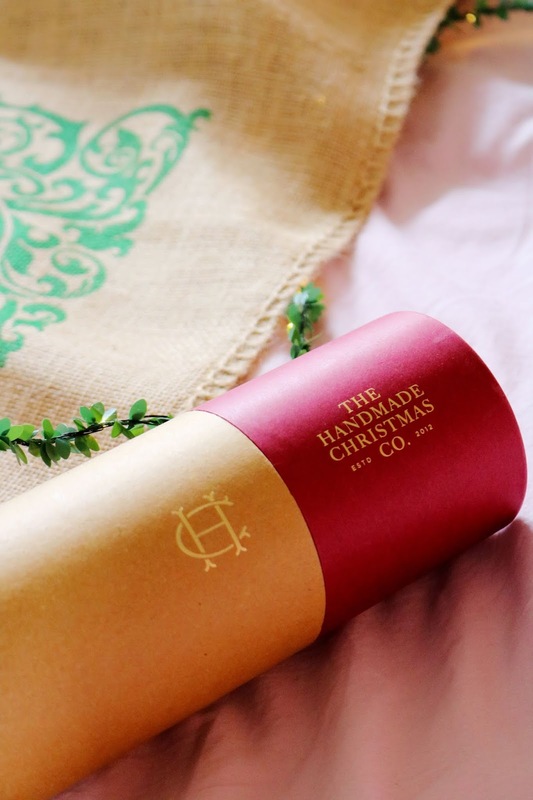 I love the presentation of the christmas sack, it came in a tube with the Handmade Christmas Co logo on and a ribbon - it felt very special opening it and I'm sure any gift recipient will feel exactly the same, especially when they notice the personalisation. I'm lucky in that I was able to have 'The Nixon Family' printed onto the sack and I think it looks amazing; I couldn't have asked for anything better! As well as the personalisation, you can also change the font and the colour of the font as well as look through all of the other christmas sack designs they have. It's 80cm by 53cm so it's large enough for what I wanted it for which is my parents presents (they receive a lot each year from me because I can't help myself from treating people at this time of the year!). I absolutely love mine and you'll be seeing it a lot in the upcoming months with all of my other gift guides! My second and final gift idea from So Close Studio is this adorable 'dadmiral' mug which as soon as I saw it on their website, I had to have it because I know it will definitely bring a smile to my dads face - it did to mine! I'm a bit...a massive mug hoarder, I have so many but I'm always quite picky with mugs as some can be very thick, some can be poor quality and others can be the wrong shape (I feel a little like goldilocks) but this one is, just right. I love the simple but striking design, the size and shape is perfect and it looks great! Last but not least is a very unique and special gift that I'm sure your gift recipient will not be expecting! A hygge inspired gift guide wouldn't be complete without food and today's offering is something you can make with your friends or family over the christmas period and you'll end up with some yummy, healthy energy balls to snack on! The kit is available to purchase now for £15 - I love the packaging and design of the kit as well as the plastic free packaging which is always a plus. You can buy a one off box for £15 or a monthly subscription for £14 per month. Within the kit you receive all of the ingredients you'll need to create your energy balls! I was very kindly sent the apricot and coconut recipe kit - I love that the leaflet lists everything as well as the nutrition information. The instructions are very easy to follow, I love all of the illustrations and I can't wait to try my kit. I've wanted to make something like this for a while but I didn't know which recipe to follow but now I don't have to guess as everything is weighted out and ready to start. 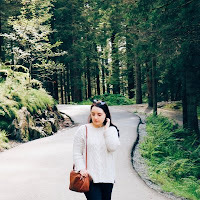 What do you think of my hygge inspired christmas gift guide? Will you be picking up or looking into any of these gift ideas? That Christmas box sounds amazing! Might have to do something like that for my nieces! 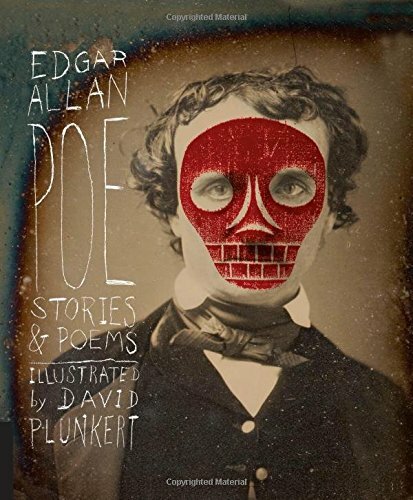 I like a gift guide with a cool theme. Thanks for sharing! Yes to all of the candles! Scented candles make me so happy! I had no idea that I'd been pronouncing hygge wrong all this time! You can beat baileys and candles at this time of year. I love Baileys at Christmas, I have to stock up on it! That penguin plant pot is super cute! I’m a huge fan of the adorable penguin mug!!! 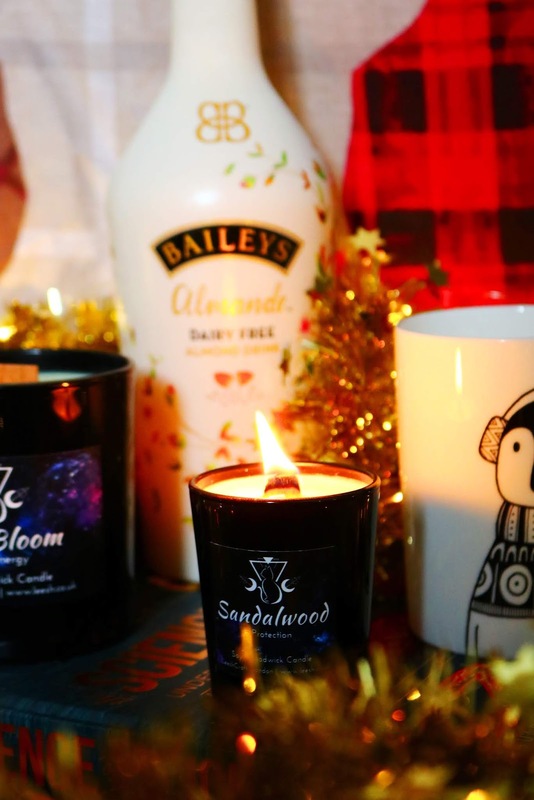 I love the cute penguin mug and the candle sounds divine! Love your picks! So many great ideas, especially for those hard to buy for-friends. The candles sound so dreamy and I adore Bailies, so I can't wait to taste the dairy free version.